Black Dots on White Fabric. Print #2177. 100% cotton fabric. 60″ wide. 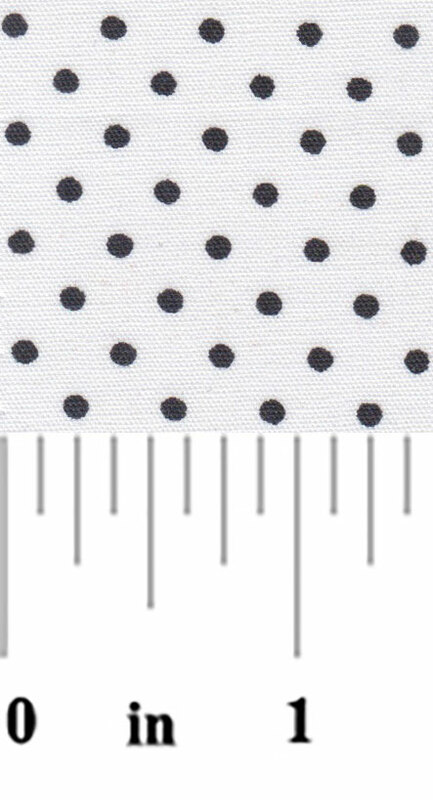 This fabric has 1/8″ black dots on a solid white background. 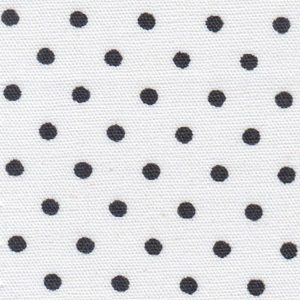 New Customers: we sell dot fabric wholesale. Please see here for pricing and ordering information: Wholesale Account Information. However, if you’re looking to buy our fabrics retail (by the yard), please see here: Fabric Finder’s Retailers.